Bethany Beyond the Jordan is about a 15 minute drive from the Dead Sea. It is a historic site with a small fee. 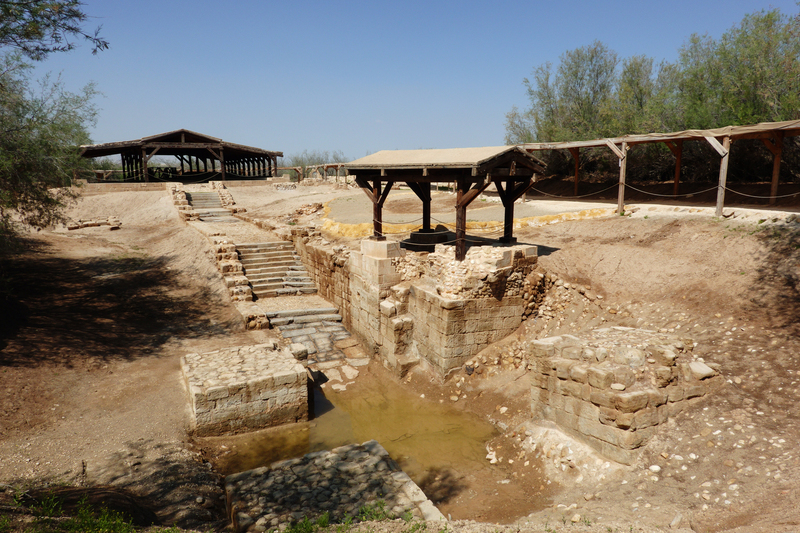 It is where Jesus was baptised John the Baptist and now has around 6 different churches in the site. From here, you see the Jordan River and over into Israel, in particular, Jericho. Where lots of people were being baptised. It is not a big place but it is quite remarkable. You are required to stick to the made path for your safety. We went into the Greek Orthodox Church to look at the mosaics and the Church while small was amazing. I find it amazing how I can go to Jordan and see a number of different religions getting along and placing the houses of worship next to each other.